With the end of festive season in India that started with Durga Pooja we saw many new smartphones launched with plenty of features and catering to different buyer segments.Smartphones under 10K is the most sought after segment and we are listing here some of the most popular selling smartphones.It seems the right time to get your long awaited phone since the recently launched under 10K segment is loaded with many features including the 4G facility. 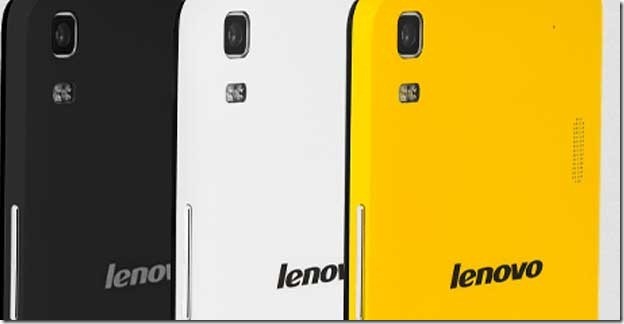 Lenovo K3 Note smartphone was launched in March, 2015. The current price of the Lenovo K3 Note is Rs. 9,999 in India. The smartphone comes with a dazzling 13.97cm/5.5 display with a FHD screen, which is perfect for watching movies or gaming. The Lenovo K3 Note runs on Android v5.0 Lollipop OS and is powered by 1.7GHz octa-core MediaTek MT6752 processor with Mali-T760MP2 GPU. At the same time, the device is aided by 2 GB of RAM along with 16 GB of inbuilt storage that can further be expanded up to 32 GB with the help of a microSD card. On the connectivity front, the Lenovo K3 Note includes 4G LTE, Bluetooth, FM, 3G, Wi-Fi 802.11 b/g/n, hotspot, A-GPS with Google Maps, micro USB and Music Player with Dolby Atmos for sound enhancement. 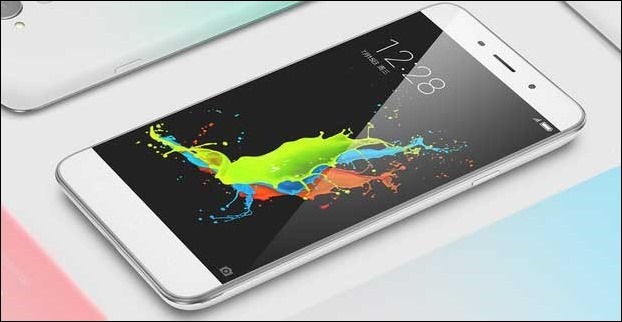 In addition, the smartphone has Proximity sensor, Ambient light sensor, Gyroscope and Accelerometer. As far as the cameras are concerned, the smartphone flaunts a 13-megapixel primary camera on the rear, that comes with a number of features such as HDR, Guidelines, Geo-tagging, Face Detection, LED Flash, Auto Focus, Auto Beautification, Omnivision OV13850 with 5 Lens Element and F2.0 Max Aperture. Besides, it sports a 5-megapixel front facing camera for taking selfies. Moreover, the dual-SIM based Lenovo K3 Note is fuelled by a 2900mAh Li-Ion battery. The dimension of the handset is 76.2 x 152.6 x 8 mm and weighs 150 gram. This smartphone was released in July, 2015. The Yu Yureka Plus is priced at Rs. 8,999. It is available in Moondust Gray and Alabaster White colour variants. The Yu Yureka Plus features a 5.5-inch large IPS LCD display which renders excellent and vivid picture quality. Besides, it has Gorilla Glass 3 protection for screen. The smartphone runs on Android v5.0.2 Lollipop OS and is powered by an octa-core 1.5GHz Cortex A53 processor together with an Adreno 405 graphic processor. At the same time, the device packs 16 GB of internal memory, which is further expandable up to 32 GB via a microSD card. The camera section of the device comes with a 13-MP rear camera which has several features like panorama, autofocus, LED flash, Geo-tagging, touch focus and face detection. In addition, it packs a 5-MP front facing camera also for taking selfies. On the connectivity front, the dual-SIM enabled Yu Yureka Plus offers 3G, 4G, Wi-Fi 802.11 b/g/n, hotspot, Bluetooth, GPS, USB and FM radio. While, on the sensor front, the device includes Accelerometer, Proximity sensor, Ambient light sensor and Gyroscope. Furthermore, the device is backed by a 2,500mAH Li-Po removable battery, which delivers 8 hours of talk time and 210 hours of standby time, according to the company. The handset measures 155.00 x 78.00 x 9.00 and weighs 155 grams. The Coolpad Note 3 was released in October, 2015. The price of the Coolpad Note 3 is Rs. 8,999 In India. It is available in black and white colours. This sleek and premium looking smartphone comes with a 5.5-inch HD IPS LCD display. The device is powered by Android 5.1 Lollipop OS with Cool UI 6.0 and runs on 1.3 GHz 64-bit Mediatek MT6753 octa-core processor with Mali T720MP3 GPU. Additionally, the device is aided by 3 GB of RAM along with 16 GB of internal space which can be further expanded up to 64 GB with the help of a microSD card. In terms of connectivity, the 4G-enabled Coolpad Note 3 includes dual-SIM, GPRS, 3G, Wi-Fi 802.11 b/g/n, hotspot, Bluetooth, FM Radio and microUSB. While, on the sensor front, the smartphone includes Fingerprint ID, Accelerometer, Compass, Gyroscope, Light sensor and Proximity sensor. On the camera front, the device packs a 13-megapixel rear camera which has several features such as panorama, autofocus, LED flash, Geo-tagging, touch focus, face detection and HDR. And at the same time, its 5-megapixel front facing camera is perfect for video calling and to capture beautiful selfies. Furthermore, the smartphone is backed by a 3,000mAh li-po non-removable battery. The dimension of the handset is 151 x 77 x 9.3 mm and weighs 150 gram. 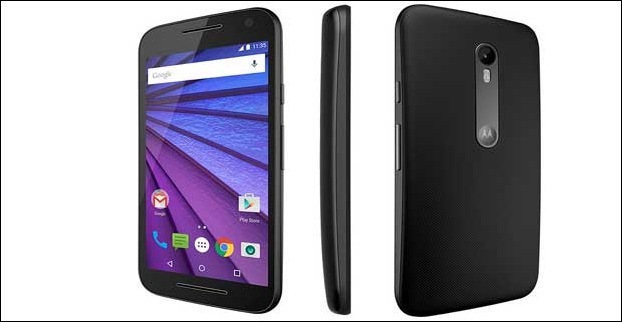 The Motorola Moto G (2nd Gen) 4G XT1079 was released about 2 months ago. The current online price of the handset is Rs. 8,999 at Flipkart. The dimension of the device is 141.5 x 70.7 x 11 mm and weighs 149 grams. The smartphone features a 5-inches IPS LCD Capacitive Touchscreen display with Corning Gorilla Glass 3 protection. The Motorola Moto G (2nd Gen) 4G XT1079 runs on Android v5 Lollipop OS and is powered by a 1.2 GHz Qualcomm Snapdragon 400 processor along with Adreno 305 Graphics. In addition, it has 1 GB of RAM together with 16 GB of internal memory, which is further expandable up to 32 GB with the help of microSD card. The camera section of the device comes with an 8-MP rear camera with a number of features such as Auto HDR, Panorama Assist, Tap to Focus, Auto Focus, Slow Motion Video, Burst Mode, f/2.0 Aperture, Rapid Continuous Shooting and Flash Light. Besides, it sports a 2-MP Front Facing Camera. In terms of connectivity, the Motorola Moto G (2nd Gen) 4G XT1079 includes 4G / LTE, Wi-fi Hotspot, 2G, 3G, Bluetooth v4.0, GPRS / EDGE, A-GPS, Standalone GPS, sGPS, GLONASS with Google Maps, 3.5 mm Audio Jack and microUSB version 2.0. Apart these, the device offers Proximity Sensor, Hall Effect Sensor, Accelerometer, Gyroscope, eCompass, Magnetometer and Light Sensor. Furthermore, the dual- SIM based device is fuelled by a non-removable Lithium-Ion 2390mAh battery. 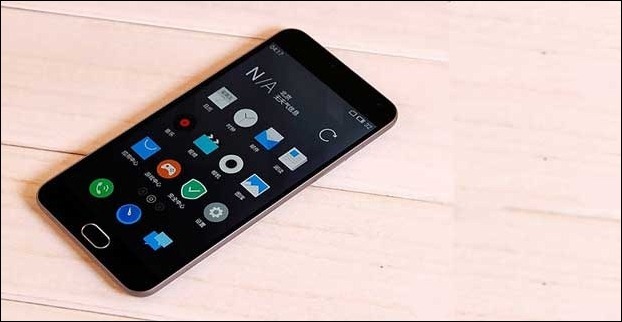 The Meizu M2 Note was released in June, 2015. Its current price is Rs. 9,999 at amazon.in. The handset is available in Gray, White, Blue and Pink colour variants. The smartphone features a 5.5-inch full HD screen with IGZO display technology, which facilitates minimal power consumption and consistent performance. The Meizu m2 note runs on Android Lollipop 5.0 with Flyme 4.5 operating system and is powered by 1.3GHz MT6753 octa core processor together with 450MHz Mali T720 MP3 GPU. Additionally, the dual-SIM based smartphone has 2 GB of RAM along with 16 GB of internal memory, which supports micro SD cards up to 128 GB. On the connectivity front, the Meizu M2 Note offers 4G LTE, 3G, dual-band Wi-Fi, Bluetooth 4.0, GPS, A-GPS, GLONASS and microUSB 2.0. While, on the sensor front, it includes IR proximity sensor, Gyroscope, Hall Effect sensor, Gravity sensor, Touch sensor, Digital compass and Ambient light sensor. On the camera front, the device is equipped with a Samsung 13 megapixels CMOS camera which has a number of features like Auto Flash, Continuos Shooting, Exposure compensation, Face detection, Geo tagging, High Dynamic Range mode, White balance presets, Self-timer, Touch to focus and ISO control. While its 5 megapixels front facing camera comes with 4-element lens, Face AE face light boost, ƒ/2.0, 69 degree wide angle and FotoNation smart selfie enhancement features. Moreover, the device is fuelled by a massive 3100mAh Li-ion, non-removable battery. The battery is supplied by SONY/ATL, which is, no doubt, rarely seen in phones at this price range. The dimension of the handset is 150.9 x 75.2 x 8.7 mm and weighs 149 grams. 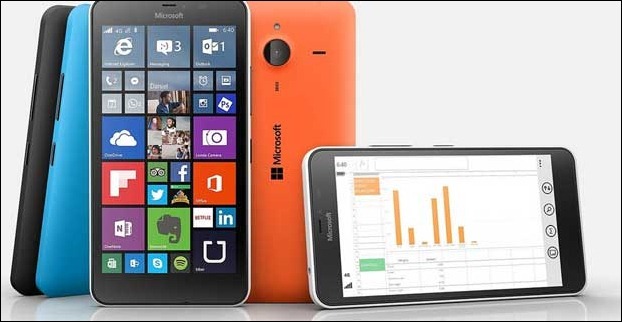 The Microsoft Lumia 640 Dual Sim smartphone was released in April, 2015. The current online price of the Microsoft Lumia 640 Dual Sim is Rs. 7,999 in India. The handset is available in Glossy cyan, Matte black, White and Orange colour variants. The device comes with a 5- Inch HD ClearBlack IPS Display with Gorilla Glass 3 Protection. The Microsoft Lumia 640 Dual Sim is powered by Windows Phone 8.1 with Lumia Denim Operating System, which is upgradeable to Windows v10 OS. The smartphone runs on Qualcomm Snapdragon 400 Quad core processor with Adreno 305 GPU. Besides, it has 1 GB of RAM along with 8 GB of built-in storage, which can further be expanded up to 128 GB with the help of a microSD card. Apart this, 30 GB of Free Cloud Storage is also offered by Microsoft. The camera section of the Microsoft Lumia 640 Dual Sim sports an 8-MP autofocus rear facing camera which includes several features such as LED flash, 4X digital zoom, BSI sensor, geo-tagging, continuous shooting, touch focus and face detection. At the same time, the device also houses a 0.9-MP wide angle front facing camera, which is perfect for taking selfies and video calling. In terms of connectivity, the smartphone offers 4G / LTE, 2G, 3G, 3.5mm audio connector, Bluetooth 4.0, Wi-Fi hotspot, Micro-USB, FM Radio and NFC. On the sensor front, the device includes Proximity sensor, Magnetometer, SensorCore, Accelerometer and Ambient light sensor. Furthermore, the Microsoft Lumia 640 Dual is fuelled by a 2500mAh Li-Ion replaceable battery, which delivers Max talk time of 17.5 hours on 3G and stand-by time of 840 hours. The dimension of the handset is 141.3 x 72.2 x 8.8 mm and weighs 145 grams.